5.5 inch Lake Country Force Hybrid Foam Pads 6 Pack - Your Choice! 6.5 inch Lake Country Force Hybrid Foam Pads 6 Pack - Your Choice! CCS Euro Foam Hand Applicators Trio - Your Choice! Cobra Microfiber Waffle Weave Glass Towel: 6 Pack New & Improved! FLEX PE14-2-150 Rotary Polisher In Stock - FREE BONUS! Flex XC 3401 VRG Dual Action Orbital Polisher Limited Edition! FLEX XC 3401 VRG HD Orbital Polisher FREE BONUS! FLEX XC3401 VRG Dual Action 7.5 inch Curved Edge Pad Kit - Choose Your Pads! Flex XC3401 VRG Orbital Polisher (Dual Action) FREE BONUS! Lake Country 4 Inch Flat Pads 6 Pack - Your Choice! Lake Country 6.5 FLAT Pads 6 Pack - Choose your own pads! Lake Country Kompressor 6 inch Pads 6 Pack - Your Choice! Mytee Lite II 8070 Hot Water Carpet Extractor New & Improved! Special Purchase Microfiber Buffing Towels 4 Pack - Limited Availability! The Fuzion Double-Up Duo Limited Time Special Kit! The Fuzion Easy Wax Kit Limited Time Special Kit! Ultimate Detailing Machine� Dual Action Orbital Polisher with FREE BONUS! Welcome to Wolfgangcarcare.com Autoweek Magazine Reader! Welcome to Wolfgangcarcare.com Bimmer Magazine Reader! Welcome to Wolfgangcarcare.com Car and Driver Reader! Welcome to Wolfgangcarcare.com Corvette Magazine Reader! Welcome to Wolfgangcarcare.com Excellence Magazine Reader! Welcome to Wolfgangcarcare.com Forza Magazine Reader! Welcome to Wolfgangcarcare.com Road and Track Reader! 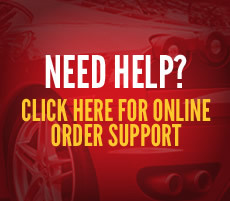 Wolfgang Auto Bathe FREE WITH ORDERS OVER $50! Wolfgang Concours Series Paint Polishing System � Choose Your Machine! Wolfgang Detailer�s Bag NEW & IMPROVED! Wolfgang F�zion Sub-Zero Special With Free Wolfgang product! Wolfgang MetallWerk� Concours Metal Sealant 16 oz. Wolfgang MetallWerk� Concours Metal Sealant 8 oz.